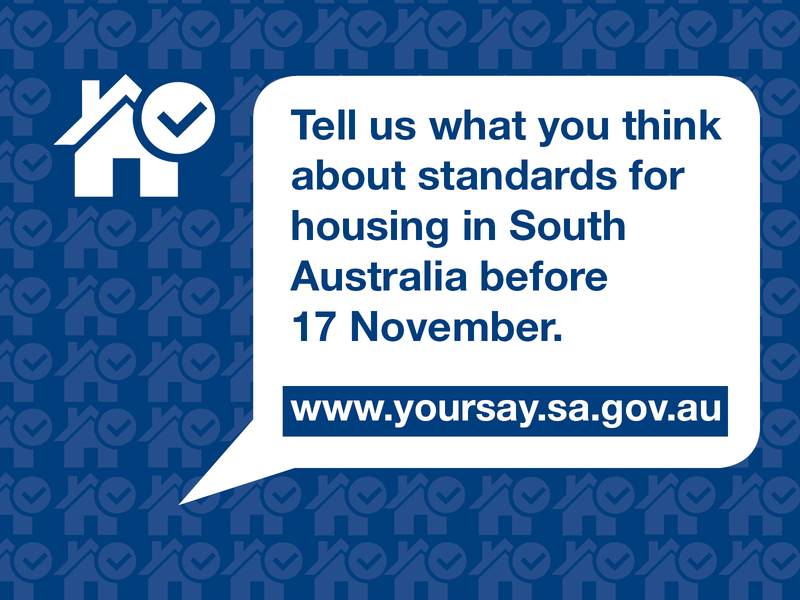 The Government wants your feedback on what changes should be made to the regulations that control minimum housing standards in South Australia. The Housing Improvement Regulations 2017 are being reviewed and an issues paper has been published to guide public consultation. It covers a range of housing issues, including fire safety, emergency access, energy efficiency, minimum space and privacy. Standards for the design and construction of homes are set by the National Construction Code, but properties can later fall into disrepair or be modified. The condition of properties can pose a health and safety risk to owners, occupiers and visitors, and this is where the Housing Improvement Act 2016 and the regulations come into play. The Housing Safety Authority is managing the review. The regulations cover all residential premises, including owner-occupied, private rental, public housing and community housing properties. If you prefer to make a written submission, you can email it to housingimprovement@sa.gov.au with the subject line ‘Regulation Review Submission’ or mail it to the Housing Safety Authority, GPO Box 292, Adelaide 5001.